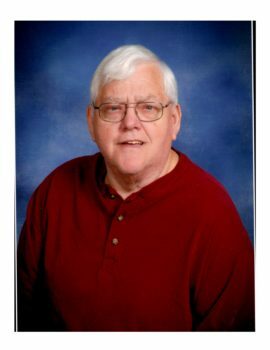 William E. Welch, 71, of Brodhead, passed away on Friday, Jan. 27, 2017, at his home. He was born on July 15, 1945, in Monroe, Wis., the son of Harry and Elsie (Leopold) Welch. He married Susan Kay Fell on July 14, 1990, at the United Methodist Church, Brodhead. She passed away on May 30, 2014. Bill graduated from Brodhead High School in 1963. He had worked for General Motors of Janesville, retiring in 2000. Bill had also worked for the Ayres Chevrolet, Buick, and Pontiac dealership of Brodhead for many years. He was a member of the United Methodist Church and the Optimists Club, and he served on the Greenwood Cemetery Board of Directors. He also had served on the Brodhead EMS and Brodhead Fire Department. Bill was an avid car enthusiast, and he enjoyed traveling to northern Wisconsin. He is survived by three sisters, Mary Ann Egger, Janesville; Darlene Swain, Middleburg, Fla.; Barbara Bowling Hufford, Clearwater, Fla; three nieces, Sandy (Mike) Sheafor and Michelle Pleyte, Edgerton, Wis.; and Aimi Bowling, St. Petersburg, Fla.; three great-nieces, Dazia and Da’Monique Harris, both of St. Petersburg, Fla.; Ashlyn Sheafor, Brodhead; and a great-nephew, Aaron Sheafor, Brodhead. He was preceded in death by his parents and his wife Sue. Funeral services were held at 11 a.m. on Tuesday, January 31, 2017, at the D.L. Newcomer Funeral Home in Brodhead, with Pastor Krystal Goodger officiating. Burial was in Greenwood Cemetery, Brodhead. Visitation was held at the funeral home on Monday, Jan. 30, 2017, from 4:30 p.m. until 7 p.m.
Memorials can be made to the Brodhead EMS. Online condolences may be made at www.dlnewcomerfuneralhome.com.